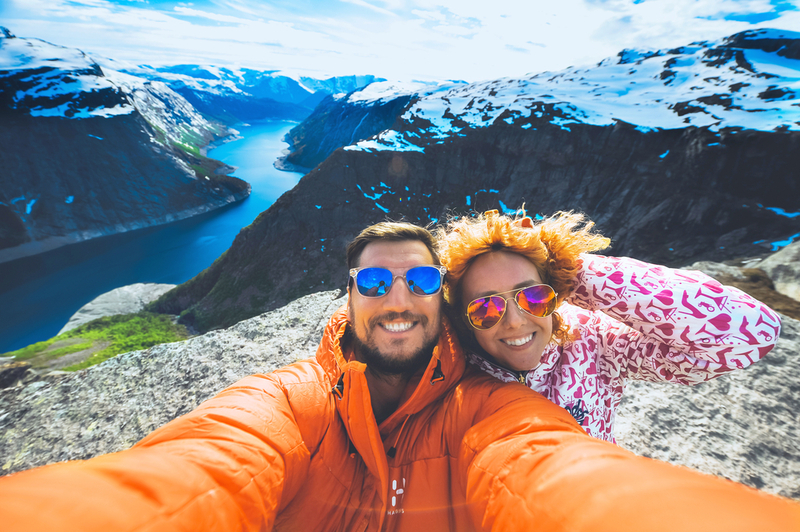 Travel selfies are fine as far as they go but if you want a full body shot and you’re on your own, that means finding a stranger to trust with your camera or phone and asking them to take your picture. Or, you could just hand it over to your companion, someone you can trust with your valuables and ask them to do it. You may start a trip with someone you barely know, but by the time your ready to leave you’ll be traveling with a friend. The person that helped you make the memories often turns out to be the best one to share them with. People back home may enjoy hearing about your adventure but they weren’t there and may never truly comprehend just why you would find a particular event so amusing. Your companion would though because they were there with you, laughing at the same thing. Depending on where your travels take you, there are places in the world you really need a companion. Your personal safety may not be at risk but your belongings could be if you’re on your own. In between destinations, there are places where you don’t dare turn your back on luggage for even a moment. It’s a sad fact that people on their own can be mistaken for easy targets and if the worst should happen, you don’t want to be alone when it does. Chances are nothing is going to happen to anyone who uses normal caution. However, knowing you have a trusted companion to watch your back “just in case” is a great stress reliever. Friends are hard to find in a strange place where you don’t plan on staying long so it’s best to bring one along with you.